Safe Repair Goodyear AZ | Local 24 Hour Service | Metro Lock & Safe Inc.
Safes can be incredibly reliable, but no matter what model you buy, mechanical error and time eventually take a toll. 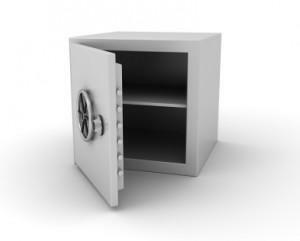 Safes are most often used for the storage of documentation and valuable items. It’s no minor inconvenience when you need safe repair in Goodyear, AZ. The sooner you call the experts at Metro Lock & Safe Inc. the sooner we can get you safe access and professional repair. We have many tools and options at our disposal for repairing a broken safe. With a team of experienced safe repair locksmiths skilled in classic and new safe repair alike, we’re prepared for anything. Safe problems can happen at any time. We don’t believe you should wait till morning, and that’s why our safe repair services in Goodyear, AZ are offered 24/7. We’ll even arrive at your location within 20 minutes. We aren’t just fast though, our services are reliable. With excellent reviews, we’ve been providing Goodyear, AZ with exceptional safe repairs since 1979. Providing complete safe repair in Goodyear, AZ isn’t just a boast. No matter what’s wrong with your safe, our technicians are trained to provide a thorough diagnosis. Once we’ve established the specific problem, we’ll move forward with repairs. Though safes can occasionally suffer from problems that render them un-repairable, many safes can be repaired back to a pre-repair state. Our technicians always keep you informed of the situation, and will not move forward without your explicit instructions. 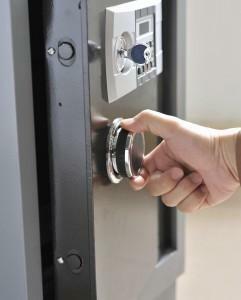 Our residential safe repair covers a massive variety of safes including gun safes and fire safes. We’re sensitive to the needs of homeowners, and will do our best to keep sound levels to a minimum on late night emergency calls. Our technicians are also adept safe crackers. We can safely recover your items, and often provide safe repair all in the same visit. Commercial safe solutions are designed to withstand nearly anything, and repairs aren’t for the unprepared. Our technicians are well versed in the repair of every make and model of floor safe, cash drop safe, and other commercial safe options. We know that business can’t stop because of a safe malfunction. That’s why we only employ licensed, bonded, and highly trained safe repair technicians. When you need efficient, fast, and reliable safe repair in Goodyear, AZ, don’t wait. Call (623) 455-5515 or contact Metro Lock & Safe Inc. today. From higher education to adventure, Goodyear, AZ truly has everything you could want in a single city. 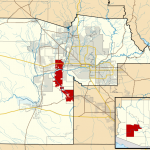 Home to Franklin Pierce University, higher education is a priority in Goodyear, AZ. This university has great programs, preparing students for every sector. Goodyear, AZ visitors looking for some excitement should be sure to visit Corral West Adventures. This wonderful western themed company offers wagon rides, campfire cookouts, and horse rides. Goodyear, AZ visitors looking to continue the adventure should visit Estrella Mountain Regional Park. With miles of excellent trails and beautiful vistas, it’s a great place to enjoy nature.